seasons due to their impressive combo color profile. It is pursued by all types of marketers because this combination possesses huge universal appeal. 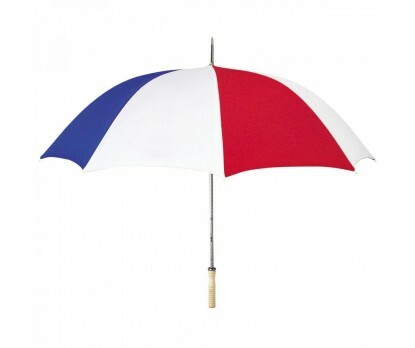 This promotional combo red, white & royal blue 48” arc umbrella is largely considered for bulk gifting during marketing events or some typical sales driving occasions. 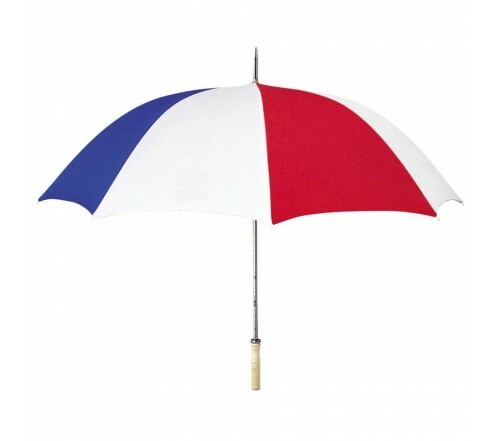 Features - automatic function, sturdy wooden handle, strong metalized shaft, and impressive red, white & royal blue 48” arc canopy.